Research Topics: Application of spectroscopic techniques (UV-Vis absorption, steady-state and time-resolved fluorescence, fluorescence anisotropy, dynamic and static light scattering) to the study of supramolecular aggregates and structural problems (e.g., localization and dynamics), compounds of biological relevance in interaction with membrane model systems. Talk Title: Amyloid-like fibers and the role of lipids: Structure and dynamics from advanced FRET methodologies and microscopy. Research Topics: Experimental and theoretical physics of synthetic and biological membranes. Physics of membrane fluctuations, the action potential, anesthesia and lipid membrane channels. Neurosciences. Talk Title: The physics of nerves. Research Topics: My current research interests are related to physicochemical (biophysical) aspects of biological systems, particularly the effect of non-equilibrium conditions, crowding and spatial confinement in membranous systems and cells. I am also interested in the development and applications of biphotonic-related techniques to biological systems (fluorescence spectroscopy, imaging techniques based in multiphoton excitation microscopy). 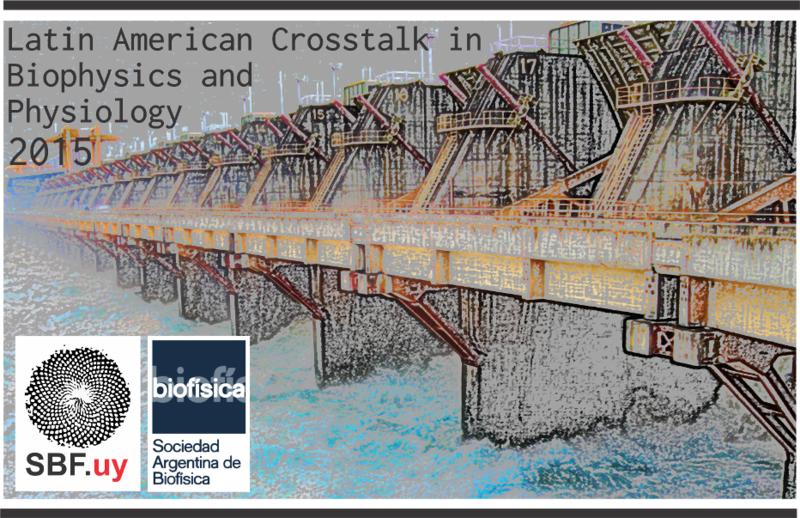 Talk Title: Tight coupling of metabolic oscillations and intracellular water dynamics in Saccharomyces cerevisiae. Research Topics: My current research interests are related to the intereaction with lipids of PKCs isoenzymes and also to molecular interactions in membranes. 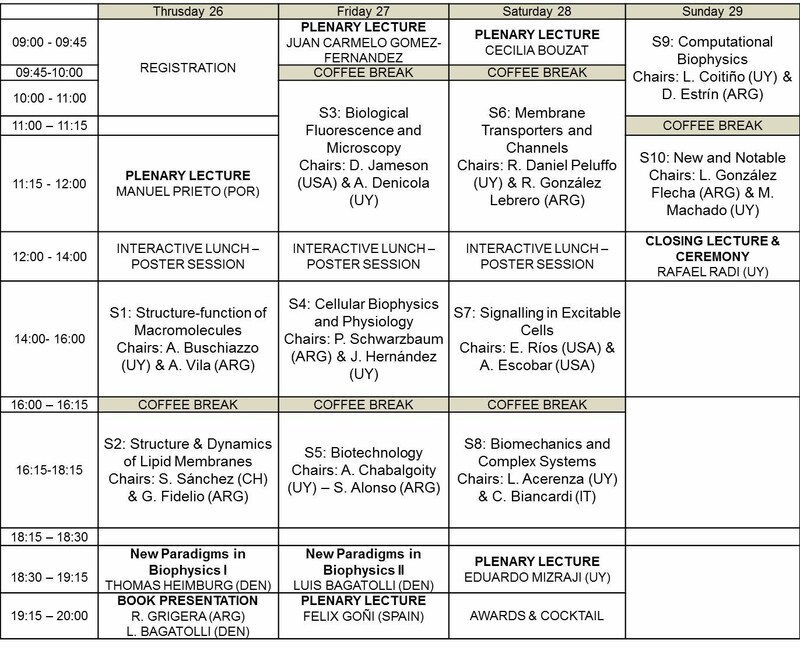 Talk Title: Membrane Lipid Activation of Protein Kinases C.
Research Topics: Membrane Biophysics, sphingolipids and sphingomyelinases, surfactants, membrane fusion, structure-function relationships in membrane proteins, membrane proteomics, lipid-protein interactions. Talk Title: Novel 1-deoxy-(dihydro)ceramides occurring in mammalian cells. Research Topics: Mechanisms and the structural basis of Cys-loop receptor-mediated synaptic transmission, understanding the causes of abnormal function of these receptors, and deciphering the molecular action of drugs affecting neuronal communication. Talk Title: Exploring Activation and Modulation of Cys-loop Receptors as Drug Targets. Research Topics: The theory of neural networks and information processing in biological systems. Development of an algebraic formalism for logical operators inspired by matrix representations of distributed memories. Relationships between connectivity and stability in complex systems. Talk Title: Spatial and temporal neural computations driven by words. Research Topics: The production, chemical biology, cell signaling actions and pathological effects of oxidants and free radicals. Biochemical mechanisms of the pathogenic actions of nitric oxide through its interaction with superoxide radicals and the formation of peroxynitrite. Relevance to disease processes including atherogenesis, hypertension, neurodegeneration and inflammation. Talk Title: Peroxynitrite, a stealthy biological oxidant.